Because cats. And because watches. That's why. 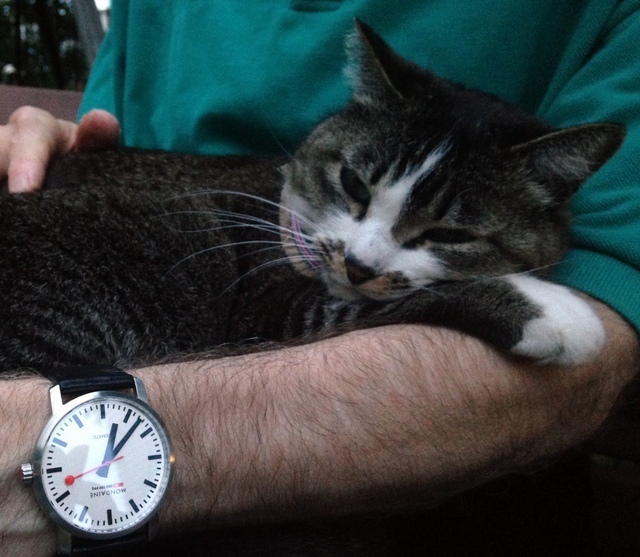 So without any brain stretching article about the inner workings of Seiko's spring drive or a three axis tourbillon, for the pure fun of it I simply present a resting cat and a ticking Mondaine automatic watch.